New York, NY (March 23, 2016) – Eliseo J. Pérez-Stable, MD will present the Department of Family Medicine and Community Health’s April Grand Rounds. 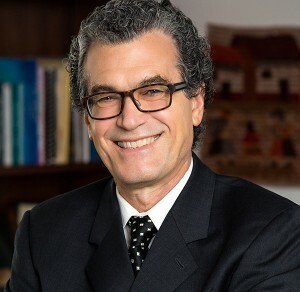 Dr. Pérez-Stable is the new Director of the National Institute on Minority Health and Health Disparities at the National Institutes of Health (NIH). His presentation is entitled “Reducing Disparities in Health Outcomes: The NIMHD Agenda on Equity.” Grand rounds are open to all, so come join us! As part of the Mount Sinai Health System’s virtual campus, videoconferencing will be offered with the Beth Israel Medical Center’s Department of Family Medicine and the Mount Sinai-affiliated Mid-Hudson Family Practice Residency in Kingston, NY. The event will be held from 8-9am on Friday, April 8th in Mount Sinai’s Hatch Auditorium in the Guggenheim Pavilion (1468 Madison Avenue), 2nd Floor. A light breakfast will be served at 7:30am. Grand Rounds are open to all and occur on the second Friday of every month throughout the year.